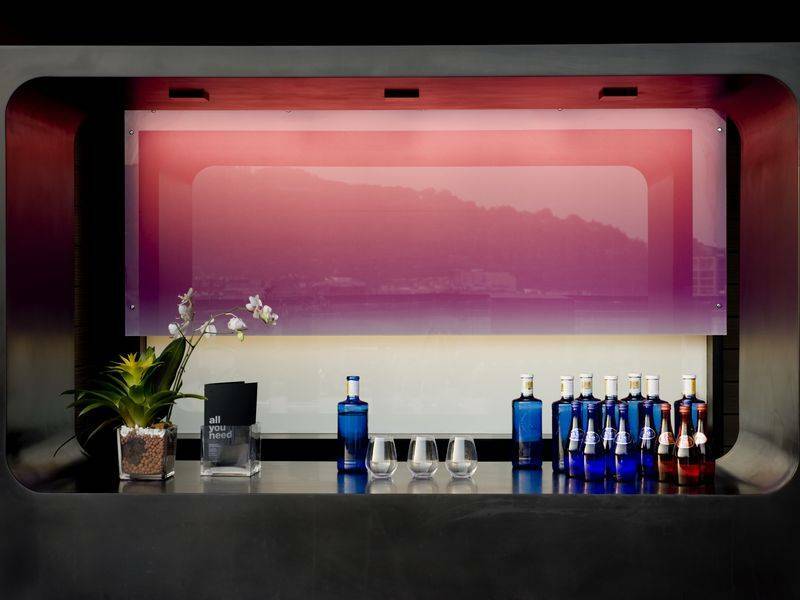 Located in a unique and emblematic building on the Rambla del Raval, the Barceló Raval, is possibly one of the coolest hotels in Barcelona. 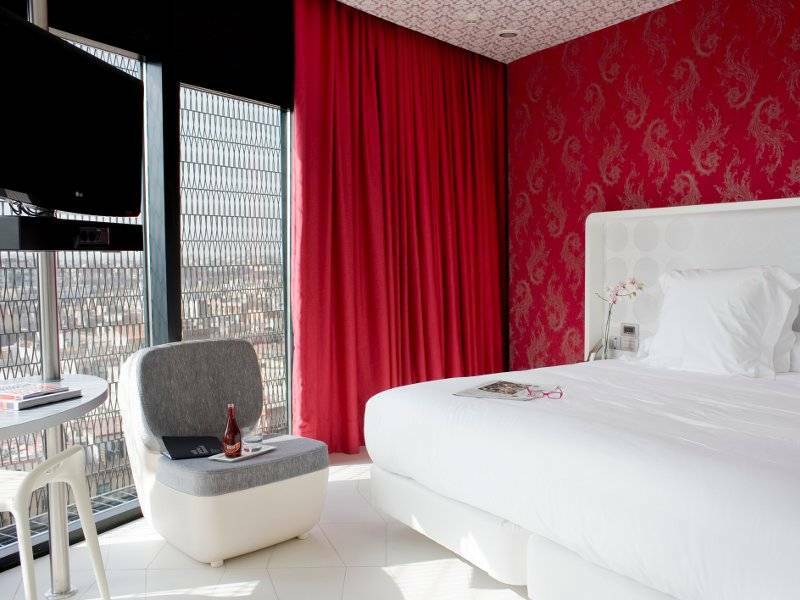 Its privileged location, means guests can enjoy panoramic views of the city and within 5 minutes walking distance, enjoy Museum of Contemporary Art (MACBA) , the Ramblas, Plaza Catalunya and the Cathedral in the Gothic Quarter, amongst many other venues of interest. The 10,000 m2 building is 37.5 meters heigh and has a total of 182 rooms, 4 very large suites as well as a series of meeting rooms and other facilities for business travellers. 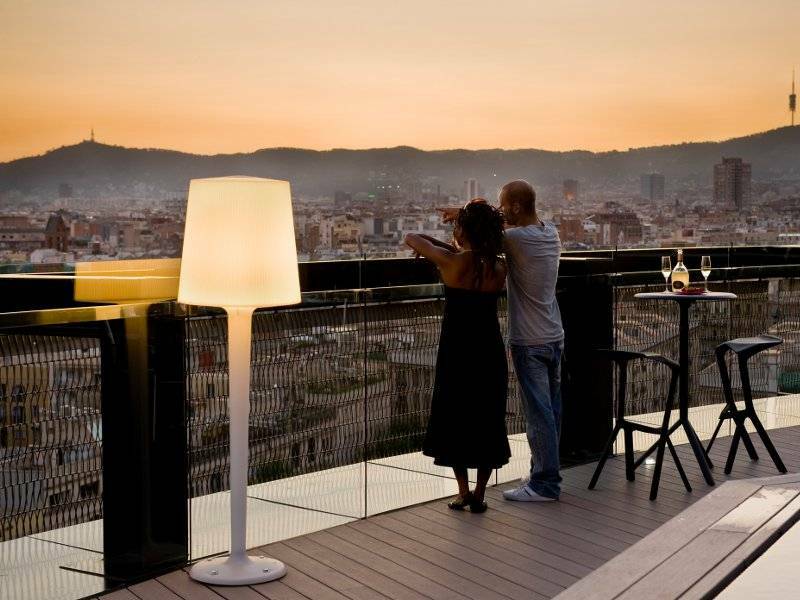 The Barceló Raval is a hotel of reference for its exclusive architecture consisting in a round tower that allows rooms in all directions and offers all possible views over Barcelona. 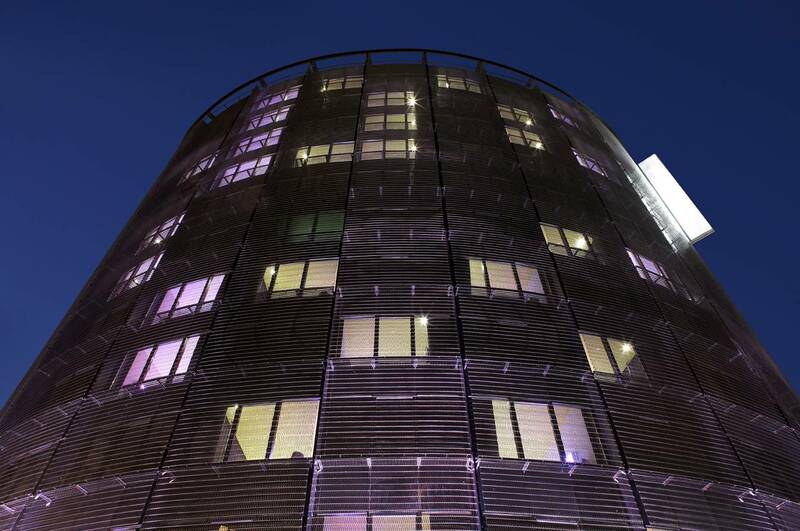 The facade of the hotel is sheathed in a dark wire mesh of stainless steel, covering a crystal wall made out of “Climalit” glass and an insulating acoustic layer. This mesh provides the building not only for privacy preserving the best view of the city, but also a protection against the rays of the sun. 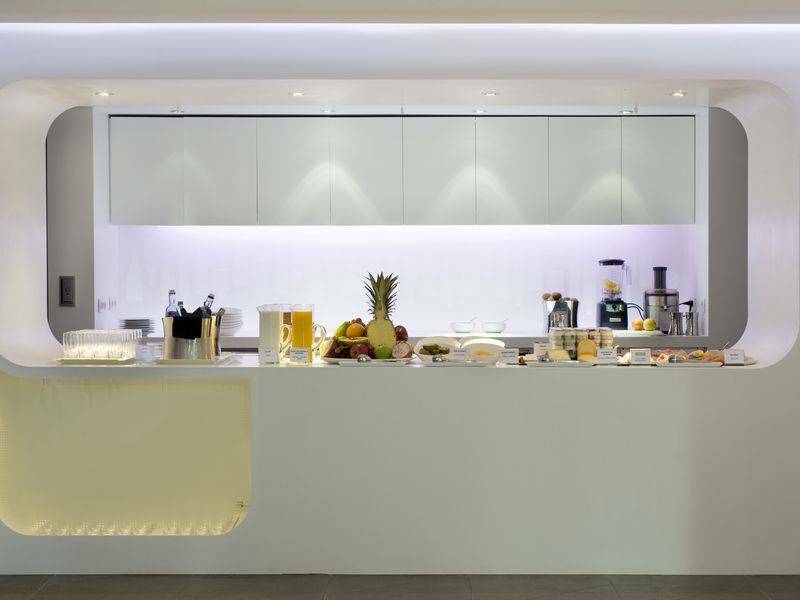 In its interior, intimate decor floods each of the modern and sophisticated common spaces and rooms of the Barceló Raval hotel, where technological and personal details ensure maximum comfort during the stay of its guests. 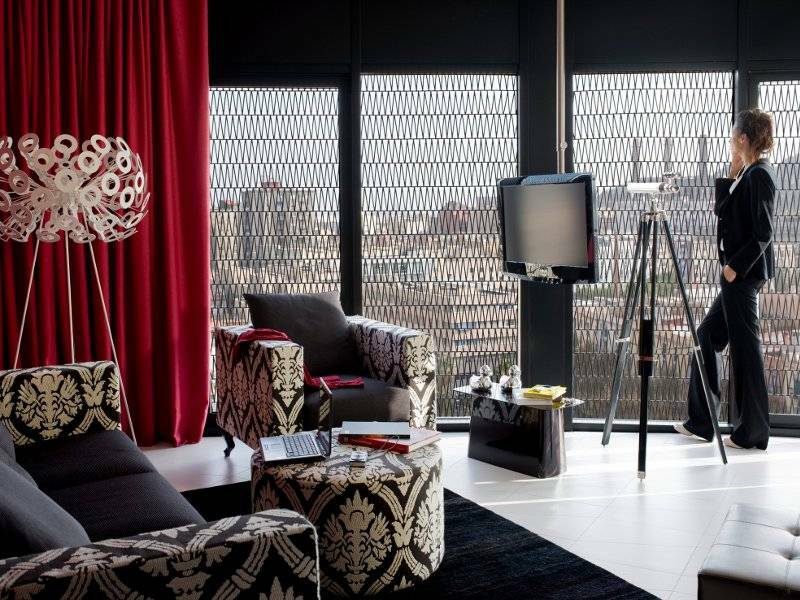 Of totally diaphanous distribution, the rooms have wide large windows with motorized curtains from where the visitor can contemplate the city as a great set. The black and white layout creates a relaxed and calm atmosphere that contrasts with touches of colour in some of the elements of the furniture, characterized by its ergonomics and design. Also, the doors of the rooms guarantee a maximum level of soundproofing to assure the relaxation. After the working day, the hotel offers a well-equipped gym of 180m2 where to workout or to enjoy a sauna session, as well as a solarium of 70 m2 with swimming pool located on the top of the building, a unique environment to relax. For those in search of something more upbeat, the hotel’s B Lounge offers DJs sessions each Friday, Saturday and Sunday, characterized by an original and eclectic music selection, where resonances of soul combine with metal percussion vibes for the pleasure of the followers of the sounds from both the past and the future. 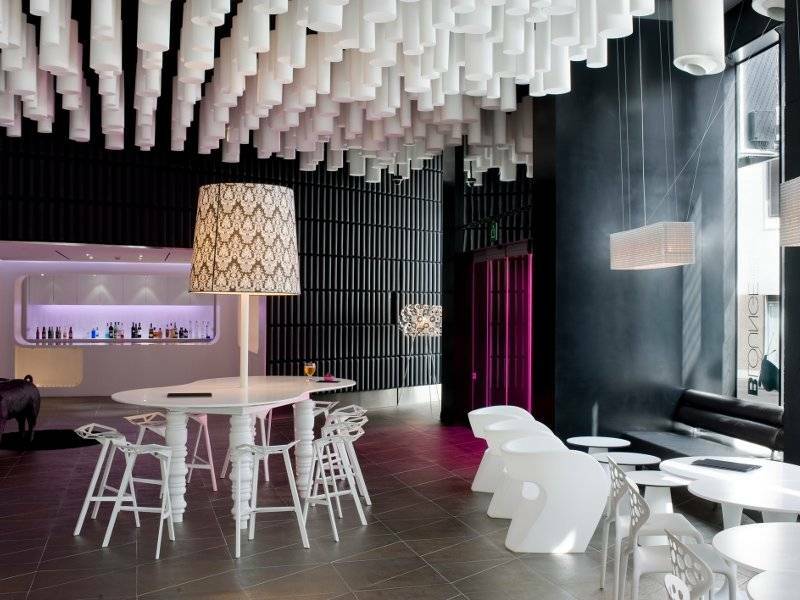 DJs such as Cesar Lorés, Nico Martín, Toni Bass or An Der Beat have scratched the best trendy tunes at the B Lounge. 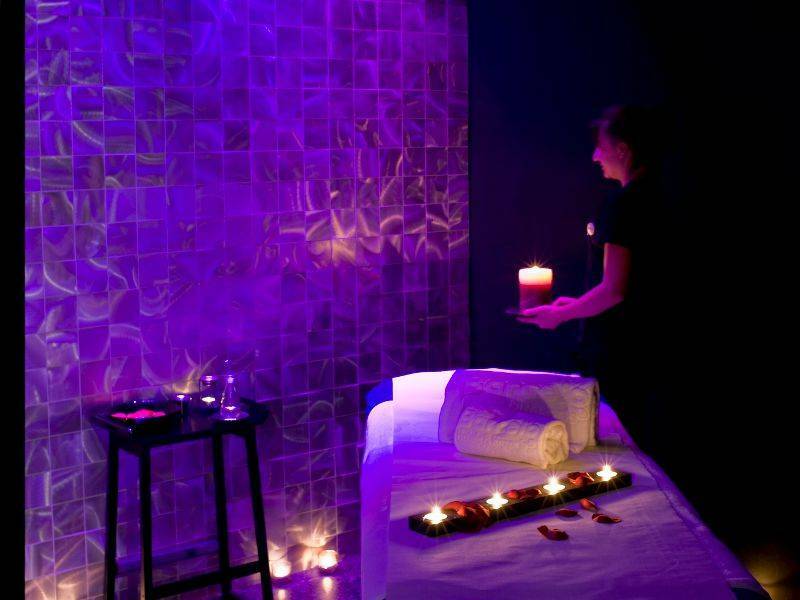 For reservations, call the Barceló Raval on (+34) 935035353 or book online. 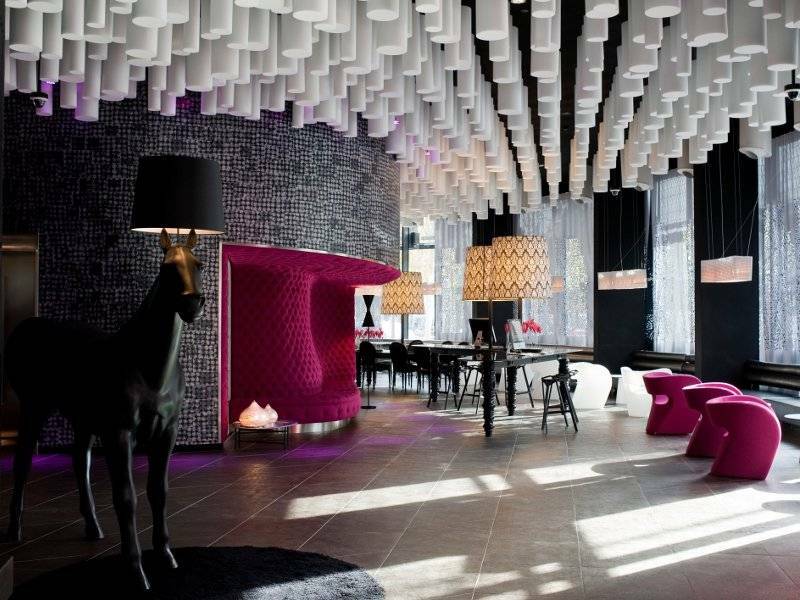 A unique hotel that offers a trendy travel experience for both relaxation and fun.